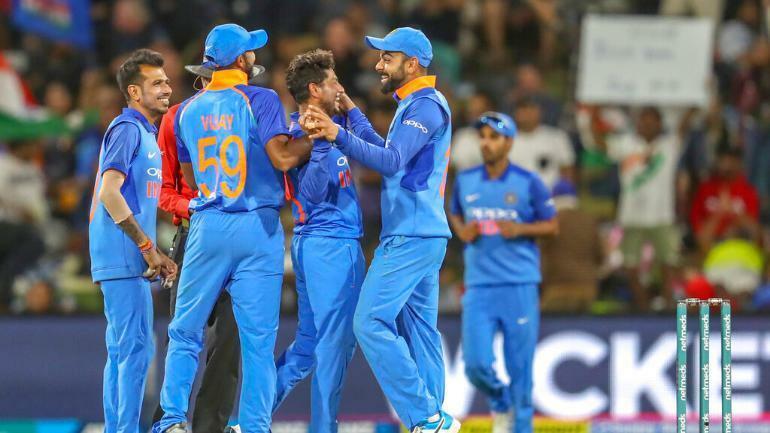 April 16 (India Today) – The Board of Control for Cricket in India (BCCI) on Monday announced the 15-man India squad for the upcoming ICC World Cup. Chairman of selectors, MSK Prasad and acting secretary of the Indian board Amitabh Chaudhary read out the names one by one with a couple of minor changes in the team. Rishabh Pant and Ambati Rayudu have been left out of the team by the selectors. Dinesh Karthik and KL Rahul have made the cut and so has all-rounder Vijay Shankar. The selectors have opted for experience over X-factor by naming a well-balanced squad. The rest of the players almost picked themselves with Virat Kohli at the helm. MSK Prasad spoke to the media in Mumbai and named the squad in the presence of Amitabh Chaudhary and said his committee has selected one of the most balanced Indian teams. “In the last one year or so, these two wrist spinners have done well. Wickets might be a bit more dry. Jadeja might come in handy,” MSK Prasad said on Monday. “After the Champions Trophy, we have tried a few middle order options. We gave a few more chances to Rayudu but what Vijay Shankar offers is 3 dimensional. If the conditions are overcast. he might bowl a bit and he is a fantastic fielder. He is a batsman who can bowl. “In the team, we have the luxury of 7 bowlers. We have covered all the bases and this is one of the most balanced Indian sides for the World Cup,” Prasad said. Prasad also revealed the Khaleel Ahmed and Navdeep Saini were also discussed as back-up pacers and added they would be on stand-by and will fly down to England if the need arises. “Khaleel and Saini were discussed and they will be around. If the need arises, one of them will go to England,” he said. India’s World Cup preparation started soon after the Champions Trophy in England two years ago. India had lost the final to Pakistan and it was then that the selectors decided to try out two wrist spinners in Yuzvendra Chahal and Kuldeep Yadav. “We had been planning soon after the completion of the Champions Trophy but in the last month or two, a couple of players like Vijay Shankar cropped up,” MSK Prasad said.